Steven (Chicagoland, United States) on 30 May 2017 in Architecture and Portfolio. 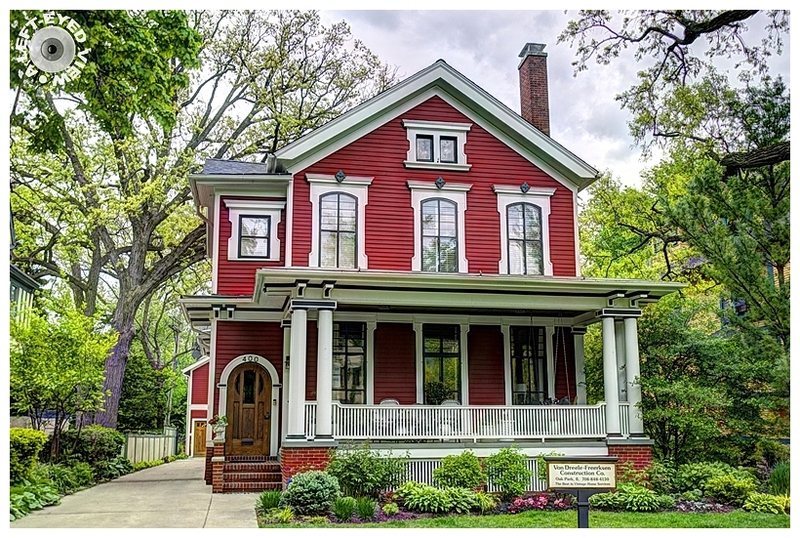 This is a 2.5-story single-family residence in the Italianate style built around 1872. The structural system is frame. The foundation is brick. Exterior walls are original wood clapboard. The building has a cross gable roof clad in replacement asphalt shingles. There is one side right, side slope, brick chimney. Windows are original wood, 2/2 double-hung sashes. Decorative wood window surrounds and window hoods. There is a single-story, full-width open porch characterized by a hip roof clad in asphalt shingles with triple doric wood posts. Columns support architrave and roof with paired brackets in eaves There is an arched entry door. Great house. It has a family room to live and enjoy. Cela me rappelle les maisons que j'ai pu voir dans le New-Jersey , superbe !! Une magnifique maison couleur framboise ! Can sure feel the sense of pride here - lovely house. wow...well preserved for its age ! une très belle maison , qui est bien conservée..
A very elegant and well maintained house. A beautiful image of this lovely old house. It seems to be in extremely good condition to have so much of it still original. It's good to have big front porch like this! Now that is a gorgeous house. Absolutely beautiful. I just love the architecture. This house has been so well cared for. I love the porch. The whole house is just beautiful!